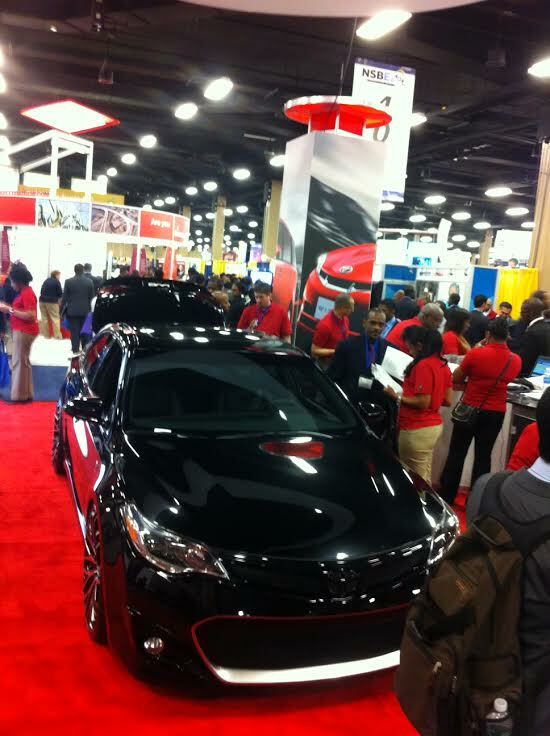 I spent part of last week working a booth at the NSBE Career Fair in Nashville. I heard the event drew something in the ballpark of 8,000 people, and I would assume over 300 employers and schools. From an employer perspective, every large corporation that’s anybody in the technology space was there. Companies included Google, Facebook, IBM, Ford, Toyota, the CIA, Intel, Harley-Davidson, Proctor & Gamble, Visa, and many more. Schools included my undergraduate Alma mater, RPI, Harvard, Berkley, MIT, and Notre Dame, just to name a few. Entering the fair was an overwhelming experience. After making it through security at the door, you were quickly hit with large displays from some of the biggest companies. They were tall, brightly colored, with moving parts, and eye catching features. The automotive companies even had cars in their booths. Overhead, the loud speakers blared contests and job opportunities. A sea of participants (mostly current students) were huddled around the recruiters at each booth. All dressed in black business suits, with polished shoes, and portfolios for their freshly printed resumes and business cards, it was an intimidating scene. These job seekers looked so prepared that anyone else visiting would certainly feel uncomfortable. Altogether, it was an incredible amount of information to process and navigate. At times, the amount of bumping into people felt like I was at a nightclub. It would be easy to see how someone who had never experienced this type of fair might feel out of place. Perhaps they didn’t realize that the fair was ‘business dress’ or maybe they weren’t a student. In reality though, a professional with years of experience is also something these companies needed. And, it was different than what all those newly minted students could offer. Years of experience could easily be turned into a differentiator (as could many other traits). Those companies may have had less jobs for professionals, but all in all, there were also significantly less professionals at the fair. In this case, although there were fewer jobs for experienced professionals, there was also less competition. Working a booth for two days also led me to some additional conclusions. First, some of the job seekers really didn’t know what they wanted. Many didn’t have business cards. Quite a few were there because they’re a member of a group that attended together. That same group probably gave their members a heads up on what to wear and bring. The people who did the very best at the career fair stood out for some very obvious, but less visible reasons. They knew what they were looking for. 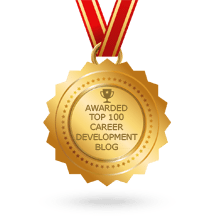 Whether it was graduate school, an internship, or a full time job, the person knew what it was they needed from the recruiters they spoke to. They were good at pitching themselves. They knew what they’re good at, and how to communicate it. They’d practiced their elevator pitch in advance. They were prepared to share their contact information. This included both their resume, and business card. They were confident and friendly. They made eye contact, and shook hands. Although it helped when candidates were dressed to the nines, their attire was not the only deciding factor. Understanding who you are and what you’re looking for, and then being able to clearly communicate that message in a confident, friendly manner was hands down the most important thing. Many of those incredibly intimidating business suit wearing participants were in fact college students. Some were even high school students. Many had never had a job of any kind before. So, before you look around the room and decide you’re going to give up, think again. Remember that you’re making assumptions about those around you that may or may not be correct. Think back on all the great stuff you bring to the table, and be prepared with your own pitch (and business cards, and resume). Focus a little less on your competition, and a little more on being the best you can be. You may just find you’re the one those companies are looking for. You may find that you’re the one who gets the job!